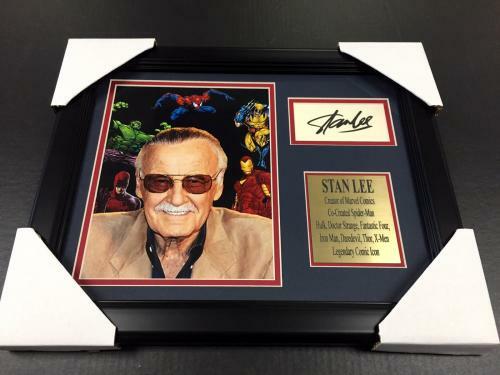 STAN LEE AUTOGRAPHED REPRINT FRAMED 8X10 MARVEL COMIC PHOTO AMAZING SPIDERMAN. All signed items come fully certified with a certificate of authenticity from an approved SportsMemorabilia.com vendor and are backed by the SportsMemorabilia.com authenticity guarantee. Unsigned items do not require certification. Comes fully certified with Certificate of Authenticity and tamper-evident hologram. Also backed by HollywoodMemorabilia.com's Authenticity Guarantee.